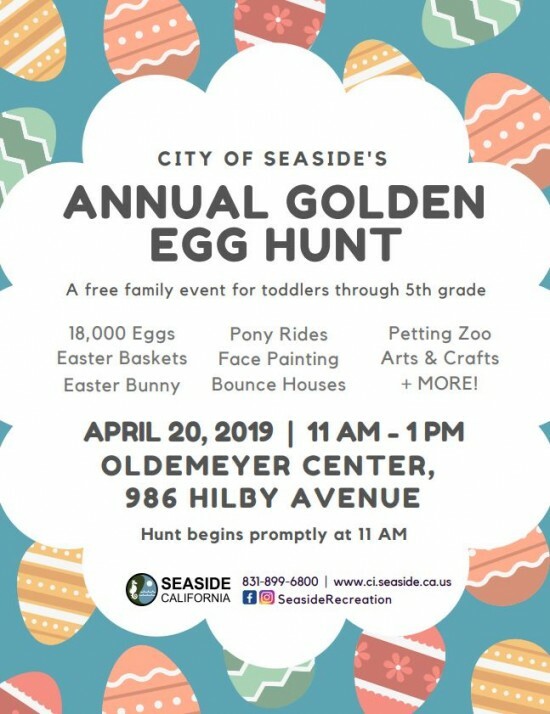 Time: 11 AM - 1 PM Location: OLDEMEYER CENTER, 986 HILBY AVENUE For more information, please visit http://www.ci.seaside.ca.us/. Time: 10:00 AM to 5:00 PM Location: 165 Forest Avenue, Pacific Grove CA 93950 Don’t miss this rare opportunity to view over 600 species and varieties of Central Coast wildflowers. The Monterey Bay Chapter of the California Native Plant Society partners with the Pacific Grove Museum of Natural History to make this Wildflower Show the largest in the Northern and Western Hemispheres in terms of number of species and varieties represented. The hours are from 10:00am – 5:00pm. For more information, please call (831) 648-5718 or visit www.pgmuseum.org. 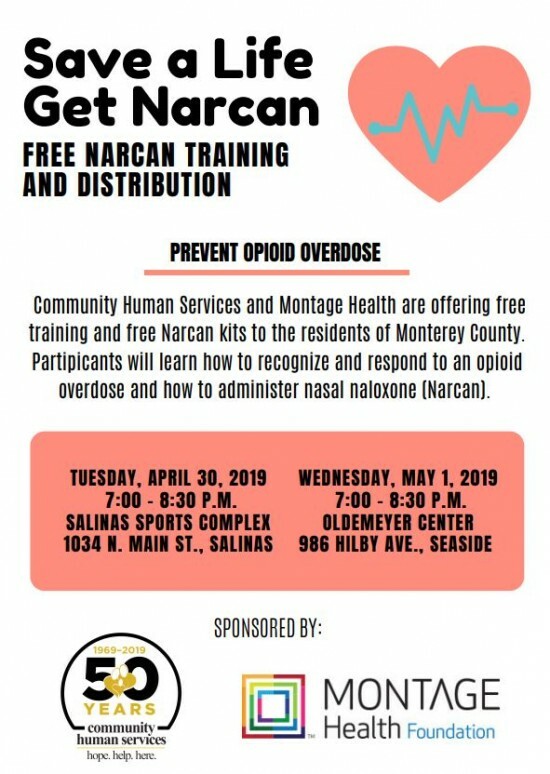 TUESDAY, APRIL 30, 2019 7:00 - 8:30 P.M. SALINAS SPORTS COMPLEX 1034 N. MAIN ST., SALINAS WEDNESDAY, MAY 1, 2019 7:00 - 8:30 P.M. OLDEMEYER CENTER 986 HILBY AVE., SEASIDE Learn how Narcan can save lives by counteracting the life-threatening effects of an opioid overdose. Attend the FREE training for Monterey County residents April 30th or May 1st. Sponsored by Community Human Services, Montage Health and Natividad Foundation. 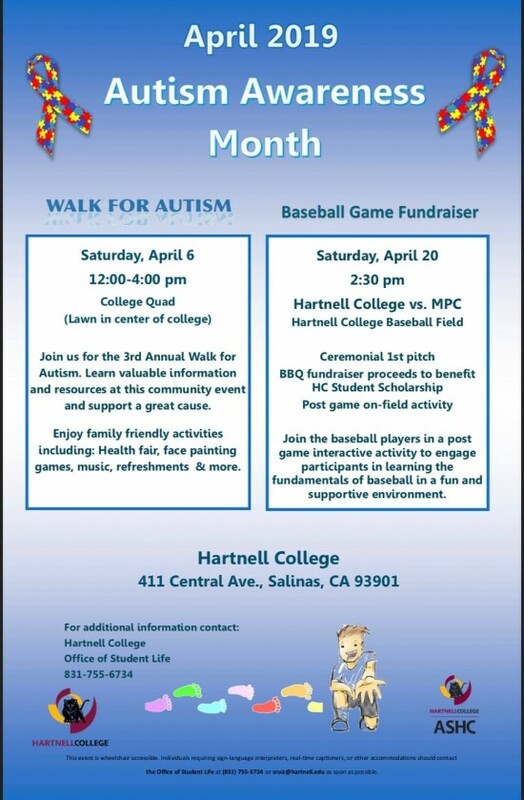 For more information, please call 831-658-3811. 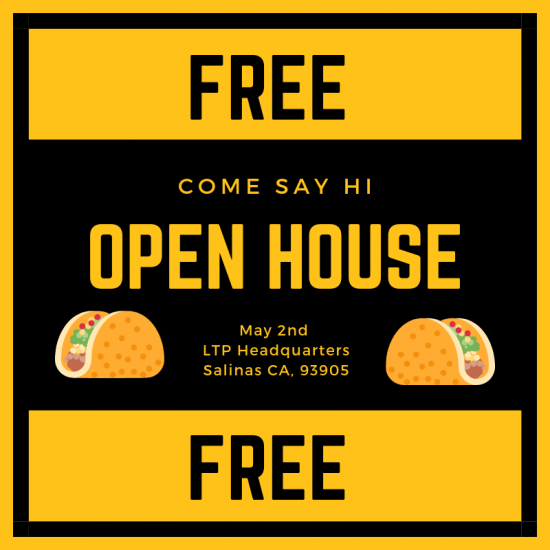 Time: 4:00pm to 6:00pm Location: 1588 Moffett St., Suite A, Salinas, CA 93905 Come by to say hi to the team at our national headquarters in Salinas, CA. We will have an exclusive sneak peek of our new courses and system. You can also get a special tour of our tax offices. Tacos and Refreshments will be provided. This event is open to the public. For more information, please visit https://latinotaxpro.com. Juried Fine Art Show by Native American, Western & Wildlife Artists: Apparel, basketry, Bead- work, book-signings, bronzes, carvings, CD, dolls, dream catchers, drums, feathers, fetishes, flutes, jewelry, kachinas, paintings, prints, pottery, sculptures, weavings, etc. Indian Tacos & Fry & Bread. Tropical drinks. 10:00 - Sat. & Sun. Opening Prayer – Welcoming Ancestors. SJ Intertribal Council. 11:00 - Saturday - Ama Ka Tura Ohlone Dancers perform Deer Dance. 2:00 Sunday: Peace Dance & AM Vet Flag Ceremony honoring military veterans. Admission Donation $1. Under 12 free. For more information, please visit http://www.peacevision.net/. Time: 3:00 pm - 5:00 pm Location: St. Dunstan’s Episcopal Church is located at 28005 Robinson Canyon Road in Carmel Valley Music at St. Dunstan’s welcomes Michigan organist John Ourensma Sunday, May 5th, for a glorious program he’s calling “A Hymn to the Trinity,” with sacred music by composers including Post, Zwart, Duruflé, and Bach, among others. A reception with refreshments at 3 pm will feature remarks by Mr. Ourensma, followed by the concert at 4 pm. Tickets are $20; students and under 18 free. For details, visit http://www.saintdunstanschurch.org/events/category/upcoming-events/ or call 831-624-6646. 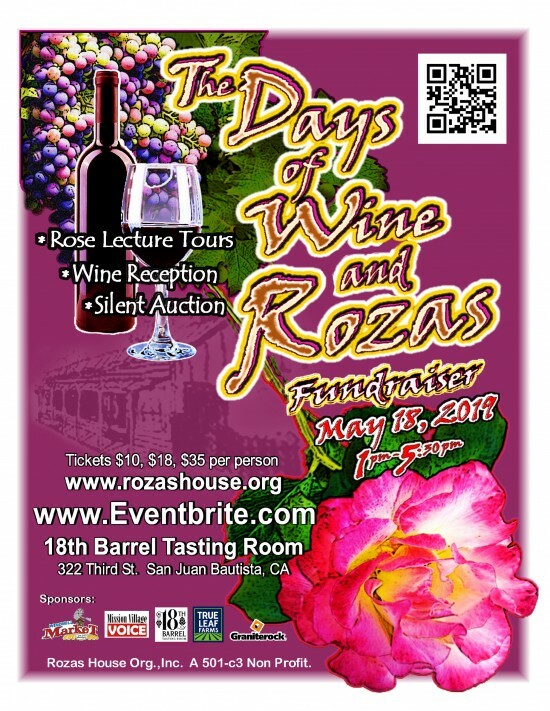 Time: 1:00 pm to 5:30 pm Location: San Juan Bautista If you love gardening, wine tasting and old growth roses, don’t miss The Days of Wine & Rozas special event. Learn pest, pruning and propagation tips at the “All About Roses” lecture; Take a Guided Walking Tour through heritage rose gardens; and enjoy music, food and Wine Tasting at the Silent Auction Reception. Ticket are $10, $18 and $35 per person, available through Eventbrite.com For more information, please visit https://rozashouse.org/. Time: 2:30 p.m. - 4:00 p.m. Cost: Free - reservations are required, space is limited Contact Information: Monterey Institute for Research in Astronomy. Email: mira@mira.org Phone: 831.833.1000 Free Observatory tour at the Oliver Observing Station - See MIRA's 36-inch professional research telescope, learn some of the unique history that led to MIRA and the Oliver Observing Station (now in its 35 year), and discover how our mountaintop scientific research runs on solar and wind power and collected rainwater. Voted the best place to watch the stars in Monterey County, the Oliver Observing Station (OOS)on Chews Ridge is actually one of the best places in the continental U.S. for optical astronomy. High in the Santa Lucia Mountains, and afternoon on Chews Ridge also provides excellent views of the Ventana Wilderness, the Salinas Valley, the Monterey Peninsula, and on a clear day, the Sierra Nevada.The OOS is located in Upper Carmel Valley, and the last six miles does require driving on a dirt road. Space is limited so reservations for these free events are required. For more information, please contact Monterey Institute for Research in Astronomy at mira@mira.org or 831.833.1000.